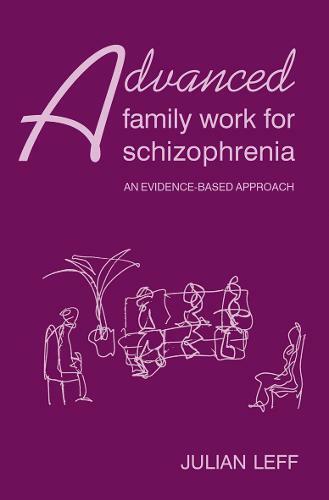 This book is a companion volume to Family Work for Schizophrenia, 2nd edition and gives more detailed explanations of how to work with difficult cases. For more than ten years, Professor Leff has been supervising family work for psychosis with mental health teams in North and South London. From comprehensive records of about 150 families discussed during supervision, he has distilled nineteen anonymised case histories illustrating the most difficult problems encountered in such work. Each family is described in detail as presented by the supervisee. Then, the author gives his understanding of the problems in a social and cultural context, and makes recommendations for ongoing family work. Follow-up of the families ranges from three to thirty months, and is charted with further recommendations at each supervision session. A summary is presented of the work with each family, including its successes and failures and the lessons learned. The detailed histories and follow-ups constitute an ideal learning experience for both skilled therapists and novices engaged in family work with patients suffering from psychosis.